Isabel Dash, PMP is a Senior Systems Analyst of Information Resources for Marriott International, Inc. Over the course of a career that has spanned more than 32 years, Ms. Dash has established herself as an expert on business intelligence, data warehousing, application design, architecture, production system support and technical project management. In her current capacity, she is responsible for overseeing information technology warehousing for a customer relationship management and sales system, and managing accurate and up-to-date business intelligence and reports. Ms. 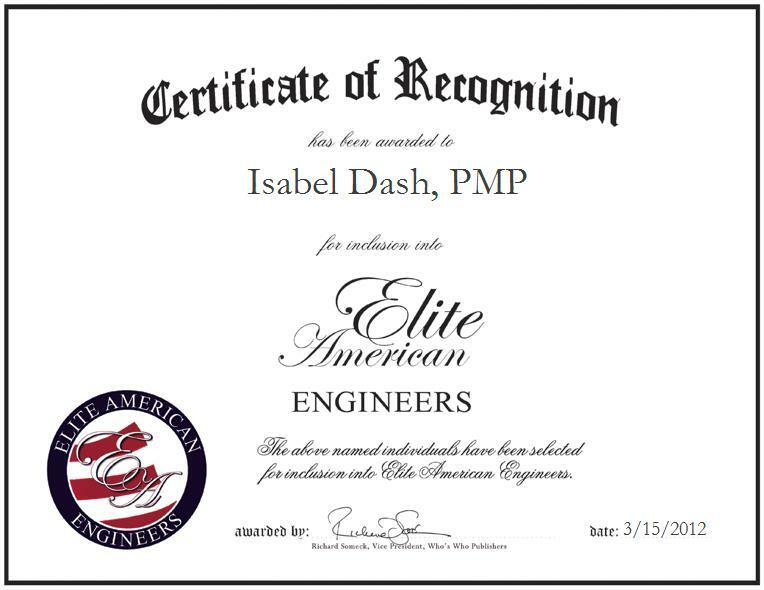 Dash has refined a sophisticated and versatile skill set, earning official approval as a Project Management Professional from the Project Management Institute, Inc.; the prominent industry-related accreditation has built on her status as a strong project leader and manager. She completed coursework in information systems at the University of Maryland University College, and she is also a member of The Data Warehousing Institute.